In today’s world, social media is the new addiction. Many of us are on different social media platforms to get connected with the outside world. Facebook is one of the best and top social networks. It allows you to make friends from all over the world with more than one billion users. Not only communication, you can get news and updates around the globe through your news feed. Moreover, you can upload your photos, videos and day to day stories. You can also keep your status updated with it. That is why almost everyone is on Facebook and wants to stay online all the time. An internet connection is must to stay connected on a social site and you can use Wi-Fi or mobile data for this purpose. But you have to pay some amount for it and it can cost you more or less. But there is no need to worry; Zong has introduced an amazing offer for its 3G and 4G internet users. The new Facebook package allows users to use Facebook for free. Yes! You read it right. Zong has come up with the unique offer Facebook flex which is one of its kinds. With this offer, you can use Facebook even with zero balance. There are no activation and usage charges. By availing the offer, you will be provided with the unique feature of a toggle button which allows the customers to switch between free and data mode of Facebook. The offer is available only for Android and IOS phone, you can avail the offer only through a web browser. You can switch to free mode on your mobile browser to use Facebook at no cost. Facebook flex allows you to update status, post something, comment, like, check-ins, can chat with friends and also can send the friend request. You can do this all even with zero balance. Data mode is another option on Facebook flex which you can select to view the HD photos, videos and to visit the external links. With data mode, you will be charged as your data plan. With Facebook flex, there is no subscription method and subscription charges. You can avail the Facebook free offer from any browser on your phone and can also use Facebook App to use the offer with Android and IOS phones. 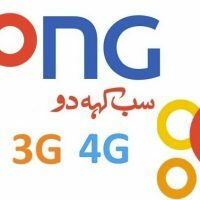 Zong has introduced an amazing offer for its 3G/ 4G internet users. 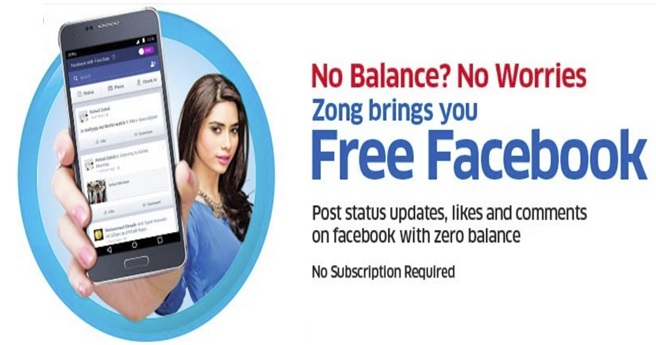 If you are a Zong user then avail the unique offer of Facebook flex now for free. Don’t miss the chance and get the fastest connection to use Facebook with Zong 3G/ 4G package. Question: What is the cost of this Package? 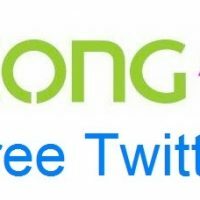 Answer: It is being intimated to our users that the cost of the package namely Zong Free 3G / 4G for Facebook is Rs.5/- per day. Question: How much MBs are offered? Answer: 50 MBs are being given in the package. Question: How many time package can be subscribed? Answer: It is mentioned that can be subscribed as per requirement of the users. Furthermore after expiry, this can be subscribed once more with the method as discussed above. Question: What is the speed? Answer: Speed of 3G and 4G is being provided to the users. Question: How many subscription charges? Answer: There is no subscription charges of this package.